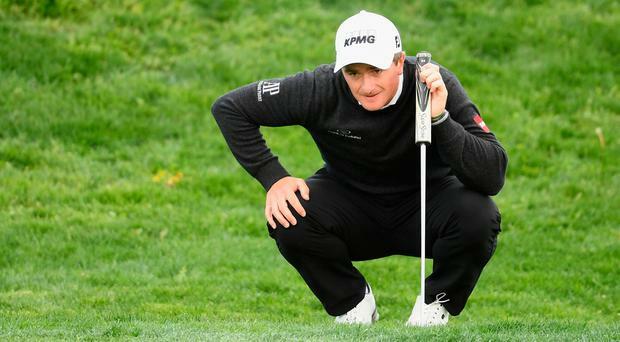 Greystones golfer Paul Dunne has continued his stellar form at the €1.5 million Spanish Open in Madrid by adding a 65 to his first round 66. Dunne recorded nine birdies and two bogeys in his second round to bring him to a -13 total. The two rounds combined to form Dunne's lowest 36-hole total of his career to date. Recent rain in Madrid has meant that low scores are possible at the Centro Nacional de Golf and the Wicklow native certainly capitalised this morning. He currently leads the European Tour field, including world number four Jon Rahm, by three strokes. Rahm began his second round on five under par but was three under through seven holes on day two, taking his total to -8. Dunne's sole European Tour title to date came at last year's British Masters.